I have always had an interest in astronomy and, while in junior high school, fabricated a variety of telescopes from old eyeglass lenses or any other optics I could get my hands on. 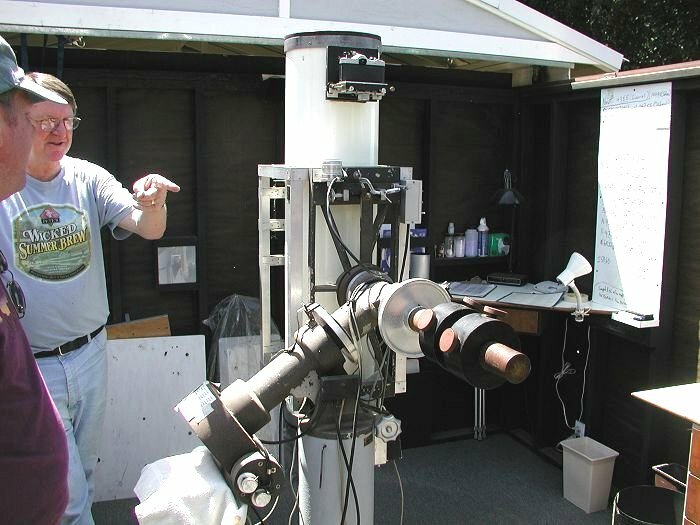 My first real astronomical telescope was one I built using a 6-inch f/8 mirror that was given to me by a friend of the family. This instrument served me well throughout high school and my early years in college. While in graduate school at Purdue University, my interest in astronomy was rekindled and I became fascinated with the hobby of astronomical photography. I read everything I could get my hands on and formulated in my mind a telescope that would serve this purpose for me. 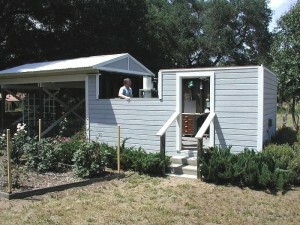 After graduating in 1970, I took a teaching position at Cal Poly. About a year later, I ordered my “dream” instrument from Cave Optical Co., a 10-inch f/5 Newtonian on a clock driven, equatorial mount. 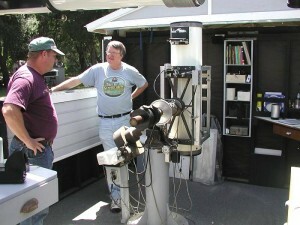 The first two or three years I used the instrument visually during which time I moved from San Luis Obispo to Los Osos. Having my own house, I then planned to build an observatory and pursue my astrophotography dream. The mounting that the telescope came with was fine for visual work but was not beefy enough for serious photographic work. As luck would have it, Cal Poly was in the process of replacing the old Cave Astrola observatory mount, which was used with their 12.5-inch f/8 Newtonian, with a new Byers mount to be used with a 12-inch Cassigrain. They planned to just junk the old mount which had seen many years of use (and abuse). I asked if I could use it and they were thrilled to give it to me just to get it off their hands! I spent some time fixing it up as well as I could and turning it into a very serviceable astrophotographic mount. So began my entry into the world of astrophotography. I am still using the same telescope and mount for my work and have continued to modify and improve my system to fine tune it in an attempt to get the best results that my equipment can deliver. Even after more than 30 years of doing photography, my results are still improving and I have no plans to get another instrument since I feel I have yet to realize the full potential of what I already have. Over the years, I have had over 900 photos published in various astronomy magazines and books that have been taken with my 10-inch Newtonian. It has served my interests well and I look forward to many more years of use.